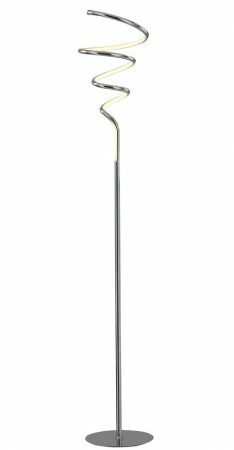 This Franklite Vibe 36w LED floor lamp in polished chrome finish is contemporary, stylish and functional. Featuring a circular base, with inline cable switch, tall central stem and chrome spiral top, inlaid with LED’s that produce 1050 lumens of warm white light. Ideal lighting for any dining room, bedroom, living room or hallway. Supplied with a manufacturers three year warranty against failure from the date of purchase. To qualify for this warranty you must complete the Franklite warranty form and return it to them with a copy of your receipt to us at the specified address. A class II double insulated floor light no earth required and suitable for older properties without an earth loop. Part of the ultra-modern Vibe lighting collection that includes a coordinating LED ceiling pendant, table lamp and wall light, please scroll down this page to view. 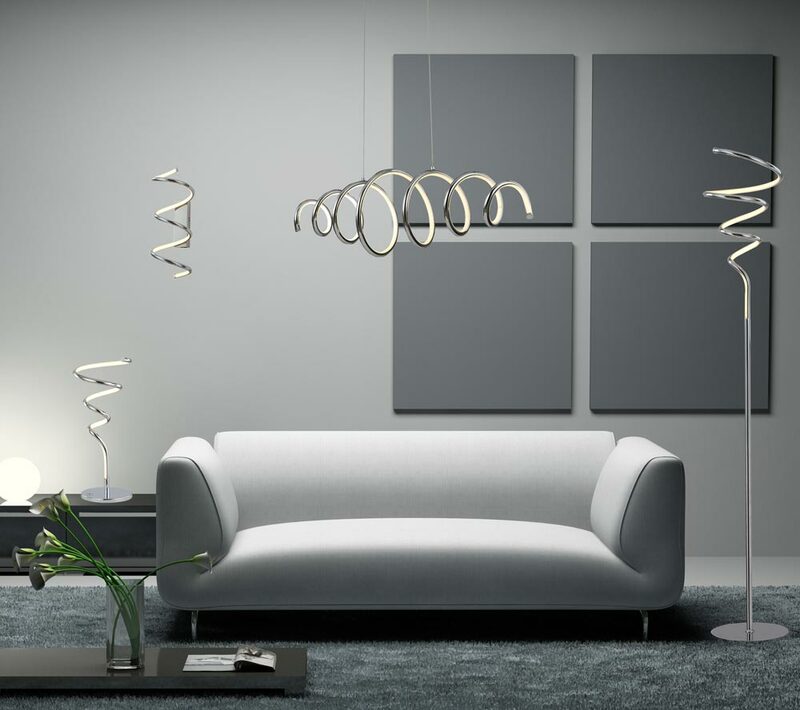 This contemporary light is supplied by Franklite Lighting who have been one of the pioneers in the design, manufacture and distribution of high quality lighting such as the Vibe 36w LED floor lamp in polished chrome you see here.